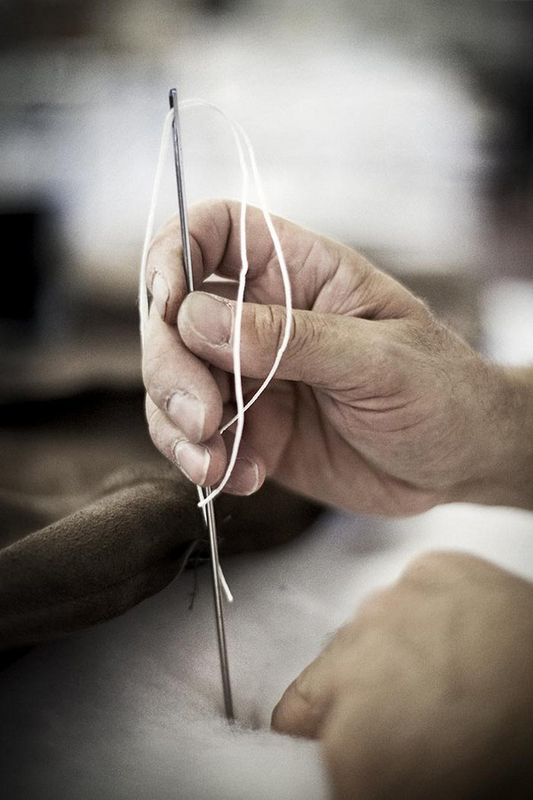 The dextery, craftsmanship, mastery and creativity that are typical of the Italian culture are the driving forces at the base of the special way to imagine, plan and carry out our products. Every stage of the process is focused on the “quality” factor. It means that from the production process up to the customer service everything is meant to be state of the art. The production takes place entirely in Italy inside of our facilities, and the last stage of the production process consists in a deep and careful quality check. Industrial manufacturing of products goes hand in hand with artisanal care for materials, thus ensuring the perfection to every details. Highly specialized staff monitor all of the stages in the production cycle to make sure that they meet the superior quality requirements for which the company has always been renewed. Our wealth of know-how and tradition comes together with our quest for excellence in our painstakingly made products. Its fully, acknowledged, ongoing devotion to this aspect is made apparent on the whole cycle, from the project definition up to its realization. In recent years the company consolidated its brand in Italy and in the International market by cooperating with the most important Italian and International luxury brands thanks to its pluriannual experience as manufacturer and supplier of furnishings for turn-key projects.